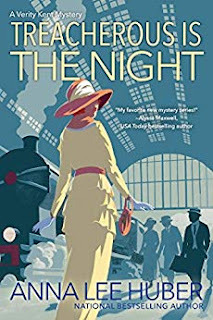 Treacherous is the Night by Anna Lee Huber is the latest Verity Kent mystery. This book is part of a series but it could be read as a standalone novel, which is what I did. But, I wish I had read the other book first, because it is obvious from this novel that the previous book was just as amazing as this one. 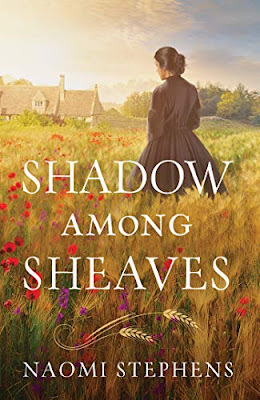 In this novel, the Great War has just finished and it is 1919 in England. Verity is trying to put the pieces of her life back together now that she is reunited with her once presumed dead husband. But, the past does not seem willing to stay in the past and Verity is soon faced with a mystery to solve. Can she make a life with her husband? Can she solve the mystery before more lives are lost? This book has everything-- secrets, complicated emotions, a spouse back from the dead, espionage--- just to name a few. Ms Huber brings the time period to life while bringing a great deal of suspense that will keep you turning pages. This novel would appeal to readers of historical fiction as well as readers who love suspense. I highly recommend it! I received a digital copy of this book from the publisher with no obligations. These opinions are entirely my own. Welcome to Livin’ Lit! I am so glad you found this site. My name is Michelle and I am passionate about writing, reading, and learning. I have always been a bookworm—as a child, I was known for walking with a book while my mother shopped! Now, as a mom, writer, and teacher, I created this website to share with you some of my favorite books for adults and children. I am also writing my own books. You may hear more about them soon! I write currently in a few genres, including mystery/thrillers, contemporary fiction, and children's books. Welcome to my website!